Islam Around Us: Militants, police clash in Karachi’s Mauripur; three killed. 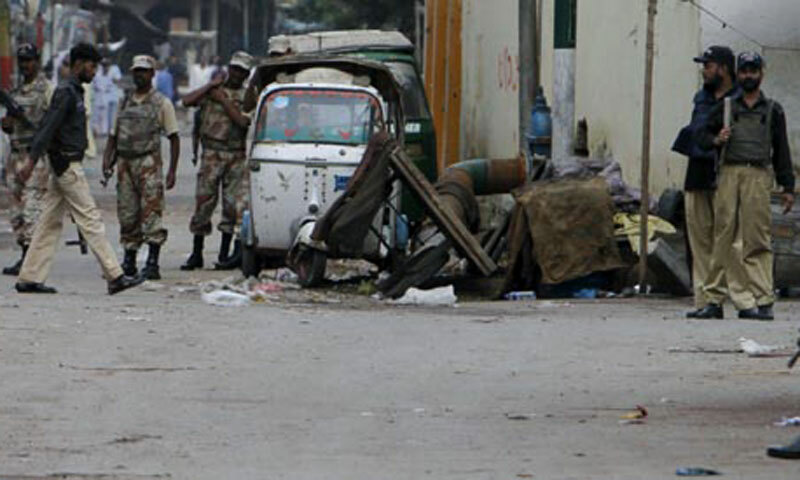 Militants, police clash in Karachi’s Mauripur; three killed. KARACHI | 05 Sep 2013 :: Three suspected militants were killed on Thursday during an exchange of fire with personnel from the Crime Investigation Department (CID) in Karachi’s Mauripur area, DawnNews reported. According to SSP CID Chaudhry Aslam, police launched a search operation in the Mauripur graveyard upon receiving a tip-off on the suspects’ whereabouts, following which the suspected men opened fire. As a result, three suspects were killed in the clash with police personnel. According to Aslam, the deceased men belonged to banned militant organisation Tehrik-i-Taliban Pakistan. Meanwhile, Rangers personnel carried out targeted operations in several parts of Karachi overnight as the federal government approved action against lawlessness and terrorism in Sindh’s provincial capital. The entry and exit points of Karachi’s Sharafi Goth and Paposh Nagar areas were sealed and various suspects were taken into custody. Moreover, houses in the said localities were also raided.